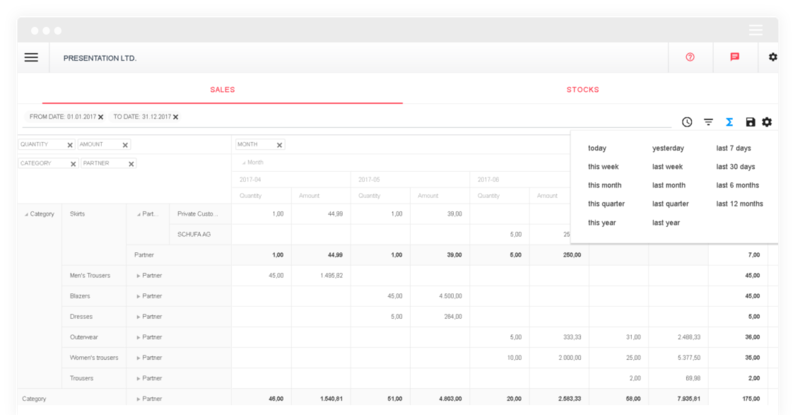 Get useful insights into your profit, sales and stock supply. Find out information about your sales and stock supplies using Backstore. Get an insight into your stock supply and sales data on a daily basis. Check the performance of product category. Compare and analyse historical data. Find out who your best customers are, what products or categories they buy. Disable metrics you are not interested in and get a clearer view of your data. Reports can easily be exported and saved as Excel file. Save your customized reports so you can use them later out of the box. Compare years of data and drill down to quarters, months, week or even days. Filter and group by warehouses, products, categories and customers. Enable metrics you find useful, customize drill down hierarchy and choose time ranges. Save your work as a new report that will be available to you in future. Get stock value and quantities coming in and out of your warehouses and stores. Group metrics by week, month, quarter or year.